New window installation offers tremendous benefits to homeowners throughout the country, including increasing property value and even enhancing natural light. However, replacement windows are most famous for lowering utility bills and making the home more beautiful. The engineering of home windows has certainly become more intricate in the last several years, with nearly limitless energy saving and aesthetic options available. With so many options to design the ultimate replacement window, how can homeowners seamlessly blend energy savings and style? Windows come in many shapes and sizes. The right window style for your home ultimately comes down to personal taste, but the architecture of the home can guide you in the right direction. Double hung windows are a window style that blends with almost any architecture, whether you’re living in South Carolina or St. Louis. This window features a sash that vertically lifts up and down to let in a fresh breeze. It also features a convenient tilt-in option for easy cleaning. Picture windows look picture perfect in ranch homes and even cape cods. They aren’t a good window for ventilation, but they maximize views of the outdoors better than any other window. Slider windows are a good option for homes with contemporary style. 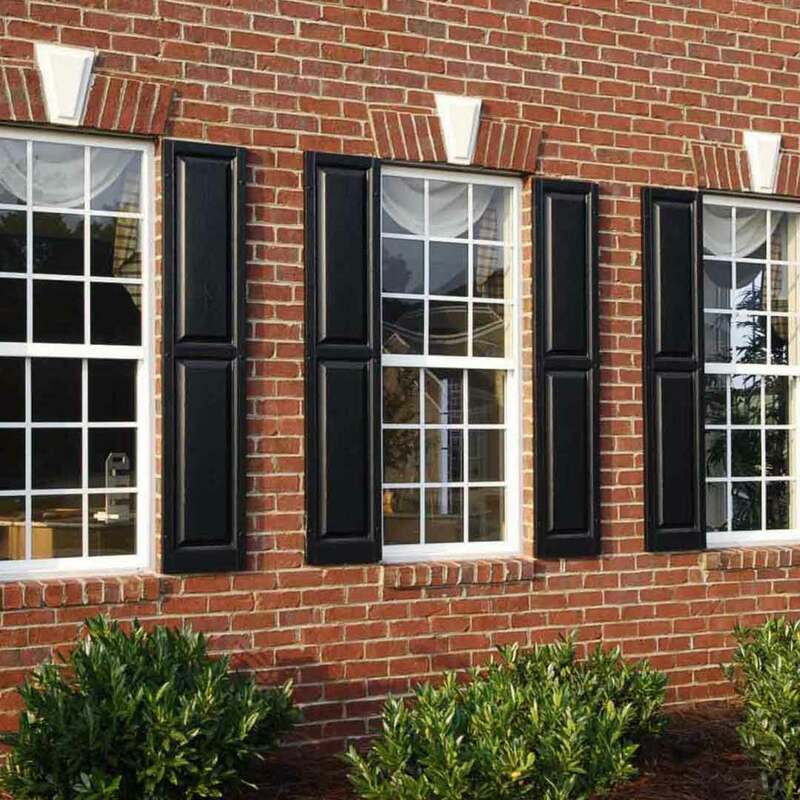 Casement windows add a traditional twist to any curb appeal. The window frame is responsible for keeping the window together as a solid unit. It is also responsible for keeping energy contained within the home and reducing drafts. The first step to blending energy savings and style with replacement windows is selecting the right frame material. Wood is a traditional frame material, but it comes with a lot of upkeep to maintain its appearance. Neglecting to maintain the wood may result in rotted frames. This is why vinyl is the ideal material for both energy efficiency and aesthetics. It will not rot from moisture damage and it requires very little upkeep. It also comes in an array of vinyl color options to complement your curb appeal, including red, green, architectural bronze, white, and more. A window is made almost entirely of glass, and it’s a critical component of the energy-saving capabilities of a window. 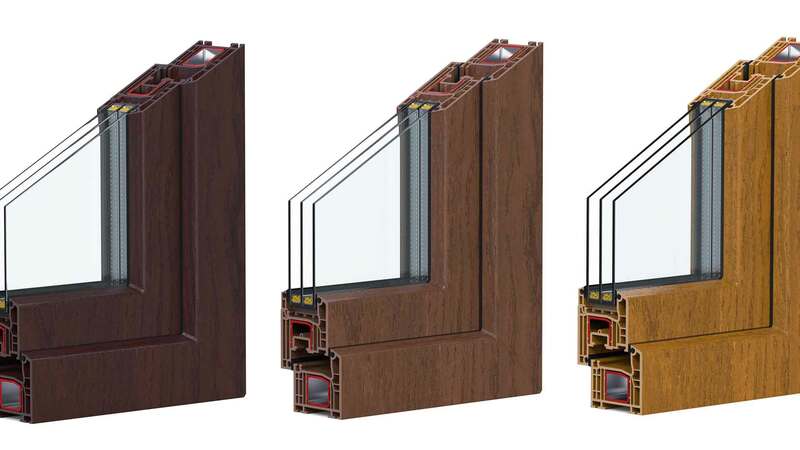 Residential windows are available in two options: dual pane and triple pane. Dual pane windows consists of two panes of glass with air between the panes. Triple pane includes a third pane of glass with air spaces between the panes. Both are effective at savings energy, although triple pane has the edge with energy savings. It also brings sound-blocking technology for a quieter home. Remember the pockets of air between dual and triple pane glass? The most energy efficient windows contain energy efficient gases between those panes. This technology is vital for homeowners who are looking to lower their utility bills. 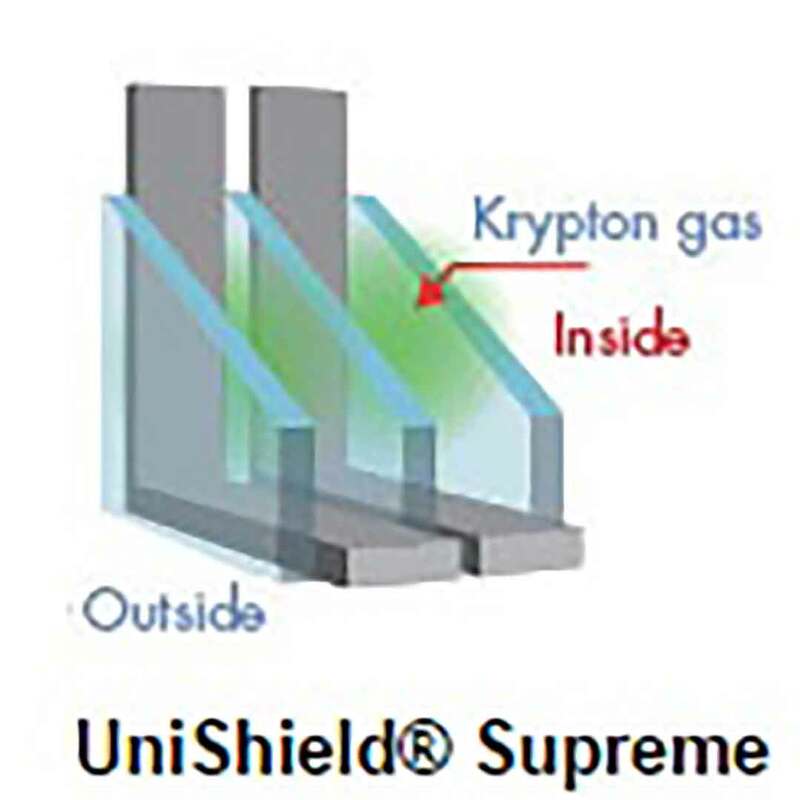 These gases make the window more thermally efficient. What does that mean for you? Your home will stay at a consistent indoor temperature regardless of the season. Low-e is an invisible coating that’s applied to the glass during manufacturing. While you can’t see low-e, it’s another important characteristic of an energy efficient replacement window. In fact, the Department of Energy mentioned that low-e is one of the top 4 inventions for energy savings. It was first introduced to homeowners in 1981. Today, more than 80% of residential windows contain a coating of low-e. According to DOE, low-e has collectively saved consumers billions of dollars in energy costs. 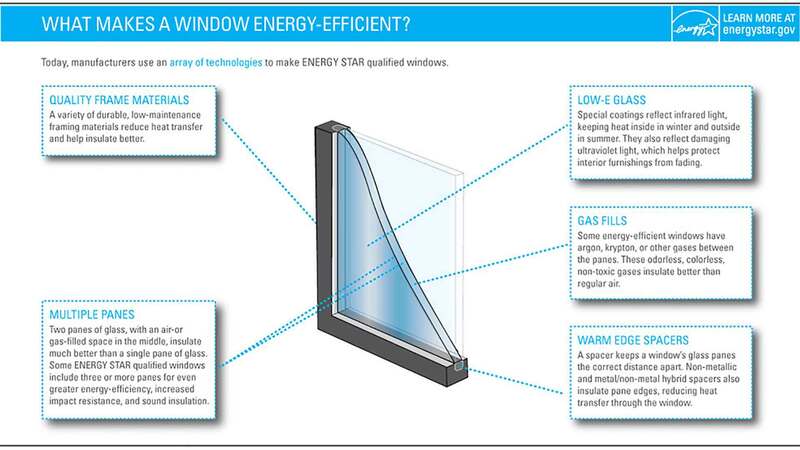 The purpose of low-e is to reduce heat transfer through the window. In the summertime, low-e reflects the sunlight back outside—which prevents heating the home up like an oven. In the winter, the opposite is true. Sunlight can pass through the window so it can help naturally heat the home. Low-e is also important for reducing UV rays that will fade furniture and flooring. Homeowners who want to add something more to their curb appeal will love the various decorative glass options available. Floral glass is intricately designed and adds unparalleled craftsmanship to the home. Prairie glass is another popular pick. It features unmistakable, yet beautiful, horizontal lines that wrap around the perimeter of the glass pane. Privacy glass can add an eloquent feel to the home without sacrificing natural light. Enjoy different variations of privacy patterns, including rain glass and glue chip. Window grids make replacement windows look extra custom. These can be mixed into eclectic homes such as Victorians to create an eye-catching exterior. Arts and crafts homes also commonly feature window grids on the upper sashes. Whether your home is new construction or historic, window grids are essentially the cherry on top of custom replacement windows. Window installation impacts both performance and appearance. Incorrectly installed windows can ultimately warp inside of the frame, creating an unsightly window that cheapens the look of the home. Not only can incorrectly installed windows hurt the appearance of the home, it can dramatically impact energy savings. Professional window installation ensures the window blocks out drafts by reducing air infiltration. Choosing to take window installation upon yourself can void your warranty in some circumstances. Universal Windows Direct offers professional installation with an insured and skilled installation team. To explore your options for energy savings and aesthetic options, feel free to explore our product page or download our brochure for additional information. For a free in-home consultation, contact us for a quote at 800-984-5846.